If you love visiting the Walt Disney World Resort with the family and you've always wondered if it could be a fun adults only trip. Well, the answer is a resounding YES! 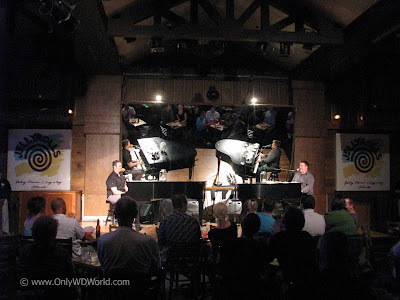 Walt Disney World is a great place to visit even if you don't bring the kids. Here at Only WDWorld we will list why it makes a great Adults Only trip and why you should consider taking this trip during the Fall. During October the Weather is great in Florida. The average high is 85 F and the average low is 65 F.
The crowds are lower during October and the kids are all in school. This makes a great opportunity for a 3 to 4 night, long weekend stay. 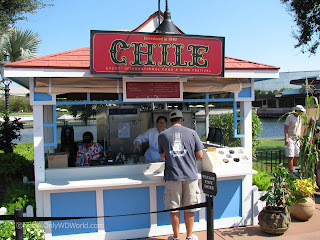 The Epcot International Food and Wine Festival will be in progress (Sept. 30 - Nov. 13, 2011). This festival includes over 25 kiosks in the World Showcase that serve appetizer sized portions of foods from countries all over the world. 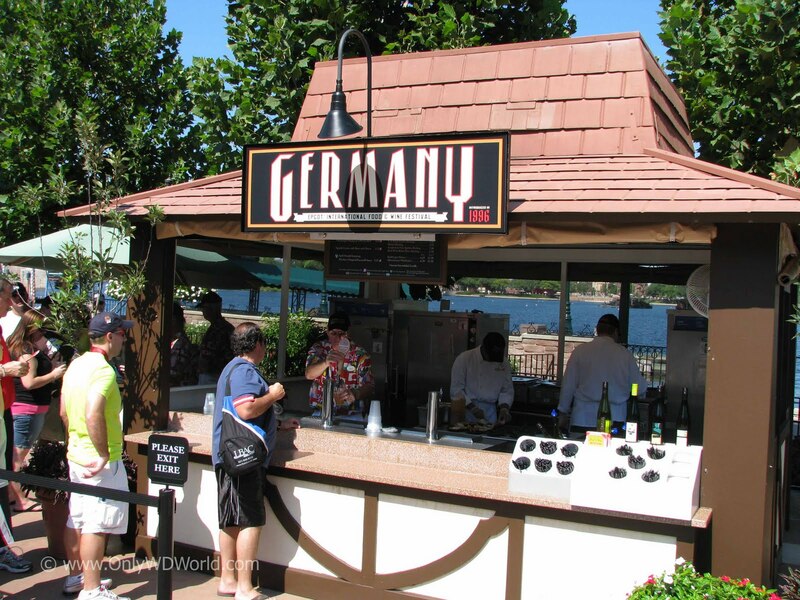 Each kiosk also serves beer and wine from that country. The festival also includes many wine, beer, and food tasting seminars in the park each day. This event is enjoyed best for adults travelling without children and many people (including myself) travel to Disney in October just for this festival. Walt Disney World has many wonderful restaurants that make for a romantic dinner for two. This is a great opportunity, especially if your previous experience with Disney World restaurants is limited to Chef Mickey's and other character based meals. Instead try Le Cellier (Canada in Epcot), Chefs de France (France in Epcot), Flying Fish (Disney Boardwalk), Jiko (Animal Kingdom Lodge), or one of the Grand Floridian's restaurants: Citricos, Narcoossee's, or Victoria & Albert's. During October the Magic Kingdom holds Mickey's Not So Scary Halloween party during many nights of the month. This is a special separate ticket event that runs from 7:00 pm until midnight. Although, it also caters to kids, adults can dress up in costume and have fun also. Low rates can be had during October. From Oct. 2-8 & Oct 23-Nov 5,there is still the opportunity to book FREE Dining Packages (Purchase Disney World Resort room and Park Tickets and get a Disney Dining Plan Free!) or book special room only rates for dates through Oct. 1. More Details - Current Disney World Discounts. 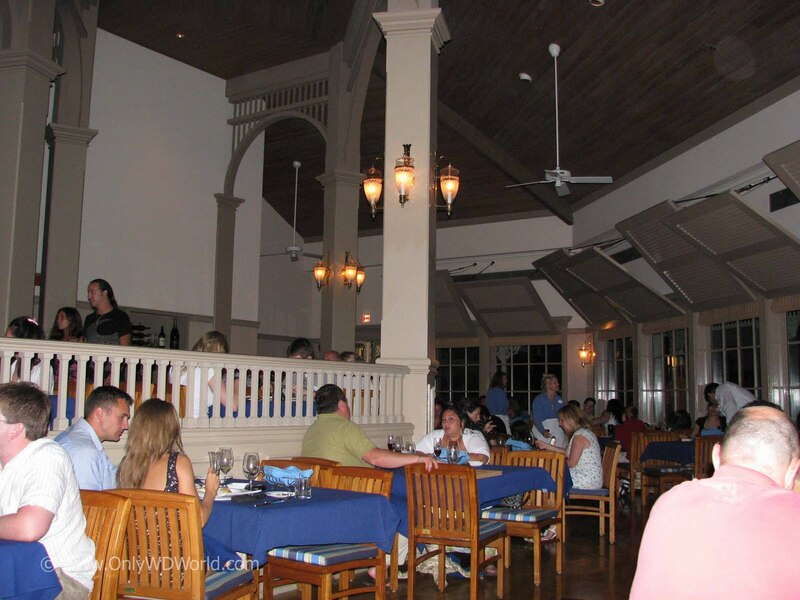 Taking an adults only trip can allow you to spend time at the attractions that you enjoy most. This is a great time to visit Disney's Boardwalk and try out JellyRolls, the dueling piano bar. 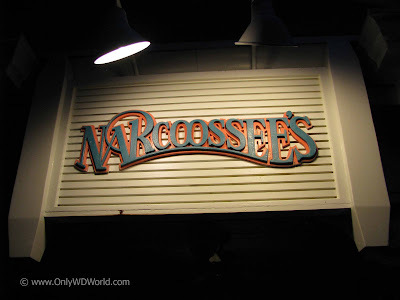 This is one of the few places on the Disney World property where you must be 21 or over to enter. 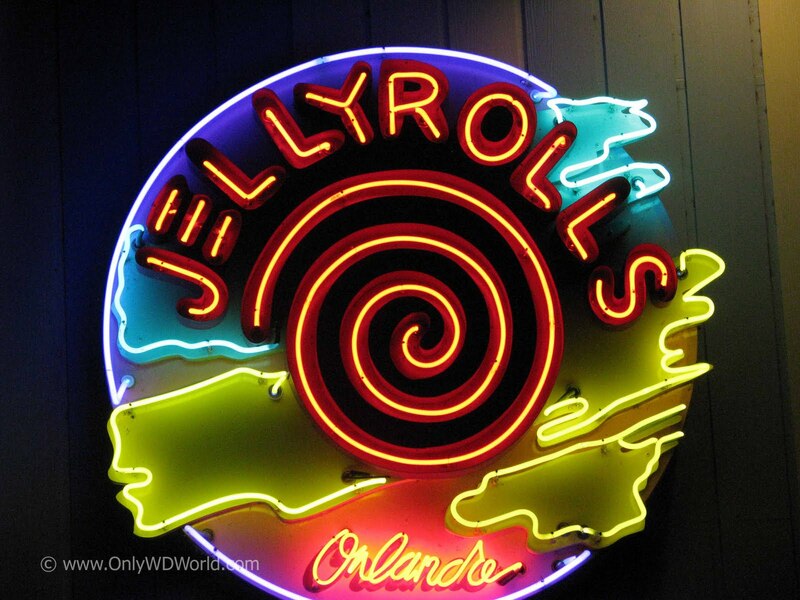 JellyRolls is certainly a fun place to visit on an adults only trip. Lastly, you can set the pace. Go fast, go slow, it's all up to you. This will possibly be a new experience for you if you've only visited previously with children. Take in all of the wonderful Disney World details that you have never been able to notice before and enjoy! So take our advice and when you are planning your next adults only trip, consider the Walt Disney World Resort during the Fall. 1 comments to "Disney World Is Great Adults Only Vacation Destination During The Fall"
It is really great for anyone who might be going to Disney World and needs a custom message from Mickey! Cheers!